Volunteering is a great way to get stuck in and meet new people while working on things that matter to you! Without the support and commitment of volunteers, Friends of the Earth Cymru would not be able to carry out its important campaigning work. We value and appreciate the contribution that volunteers make to our success, and are committed to ensuring that volunteering is a rewarding and productive experience. 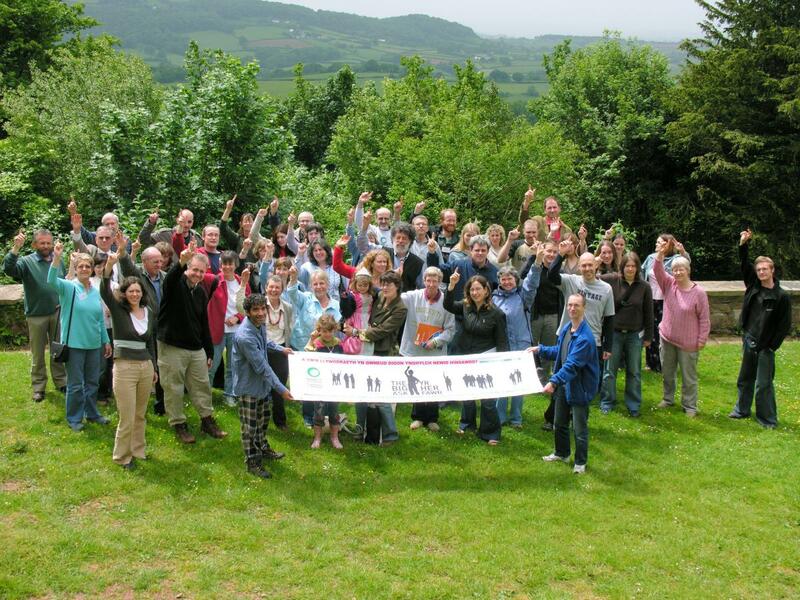 Volunteers are involved in every area of Friends of the Earth Cymru's work from general administration through to campaigning and research. We aim to give volunteers specific roles and projects which support our work, and help volunteers develop their skills and experience. We recognise that people have many different reasons for wanting to volunteer and where possible we try to meet individual needs. As a volunteer at Friends of the Earth Cymru you will develop new skills and gain valuable work experience. You will learn about environmental issues in Wales and play an important part in the success of one of Wales' leading environmental pressure groups. We also offer internship opportunities. Please contact us if you would like to join our team as an intern. Don't live near Cardiff but would still like to volunteer? Why not join your nearest Friends of the Earth local group. Who volunteers at Friends of the Earth? People have many different reasons for wanting to volunteer - and we try to meet individual needs. Volunteers can claim for travel expenses - plus lunch if you work more than 5 hours per day. There are opportunities for our volunteers to go on training courses if necessary for their work. We run regular computer training at our London office. Volunteers may also be invited to attend our induction course. Normal working hours are 9.30am to 5.30 pm Monday to Friday. There's flexibility for volunteers to arrange mutually convenient days and times with their manager. However, we need volunteers to agree to regular hours each week and commit to these hours. How do we allocate voluntary work? Wherever possible we identify specific roles for volunteers that will provide an opportunity for learning and developing skills. Experience has taught us that volunteering works best when there's a good match between the needs and interests of the volunteer and the needs of Friends of the Earth. We're not just interested in what skills and commitment you can offer us, but also how we can meet your needs and expectations. Once we've received your completed application form we'll place it on file where it's accessible to volunteer managers. When we need a new volunteer we look through all current applications to select those most suitable for the work in question. If a suitable volunteer placement becomes available, a member of staff will invite you for an informal interview; this may take some time, so please be patient. For you to find out more about the work on offer and about volunteering at Friends of the Earth. For us to find out more about your motivation for volunteering and your suitability for the work available. The volunteer's motivation and Friends of the Earth's ability to meet the needs of the volunteer through the work on offer. How long will my details be kept on file? At Friends of the Earth we rely on and greatly appreciate the hard work volunteers carry out for the organisation. Unfortunately, due to a high level of interest, we're unable to offer work to every applicant. When your application has been on file for 3 months our volunteer coordinator will get in touch to ask if you'd like your application to remain on file for a further 3 months. Meet some of our current volunteers. You will learn about environmental issues in Wales and play an important part in the success of one of Wales' leading environmental pressure groups.